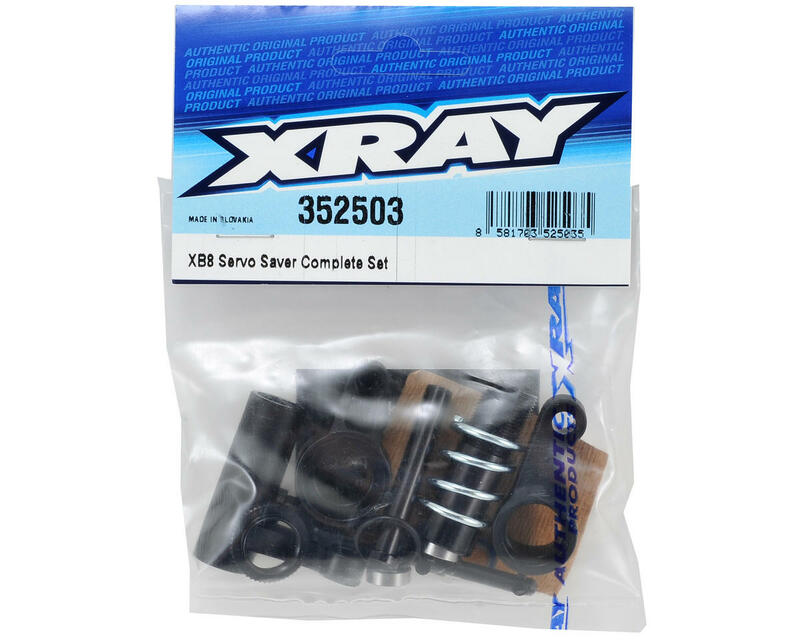 This is a replacement XRAY XB8 Servo Saver Complete Set. This servo saver features an updated design with improved reliability, high-precision steering and optimized geometry. This complete servo saver set includes two servo saver stands, CNC-machined from high-grade Swiss 7075-T6 aluminum to ensure highest strength with ultra-low weight. The set additionally includes aluminum servo saver arm body, collar, and bushings. 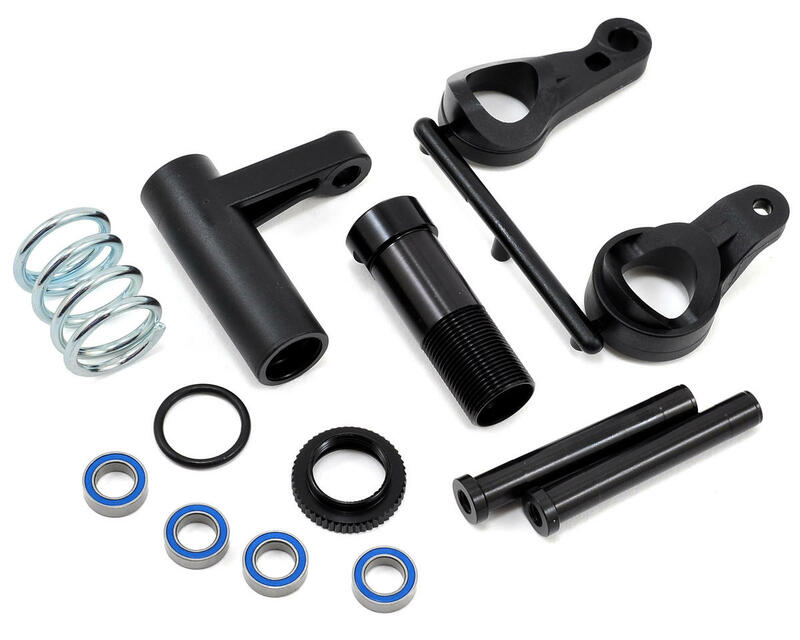 The strong servo saver spring ensures precision steering under all conditions, yet is still soft enough to ensure that energy will not be transferred to the servo even in heavy impacts. The strength of the servo saver can be easily adjusted through the adjustment collar; the body and collar are hard-anodized to prevent thread stripping in dusty conditions.